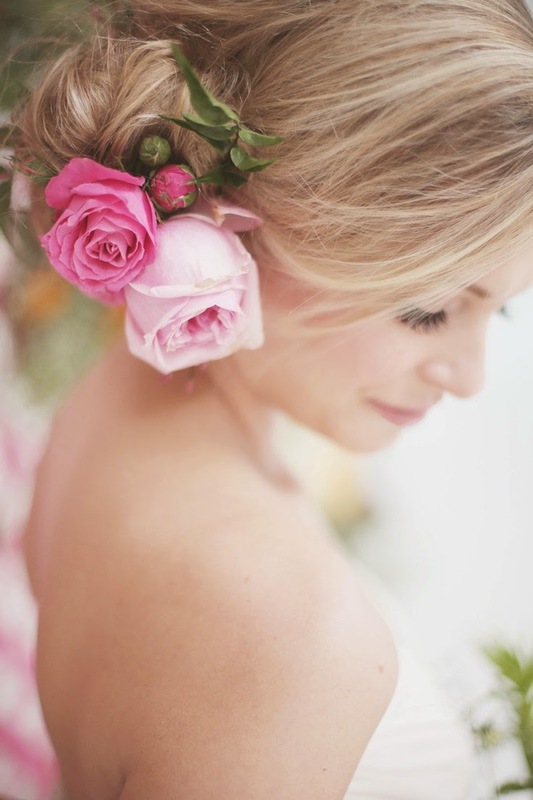 When it comes to choosing wedding flowers for your hair, most brides have a hard time deciding on just one piece. It doesn't have to be this way. It really can be a pleasant experience if you know a few tips on how to get the perfect piece. One key to having a pleasant experience is to plan well in advance so you have time to decide just what you want. Another is to collect photos of your favorite pieces. You might just like one feather from a photo and a flower from another. When you combine the two ideas, you will have a unique flower for your hair. Decide if you want to use real touch faux flowers, fresh flowers, or fabric flowers. Each option has its own unique charm and is sure to be a lovely flower for your hair. If you decide on fabric flowers, do you want to make your own and match your dress or would you like to purchase one online? Making your own flowers can be a very fun project and it is easy to do, but you do have to have patience and enjoy crafting. If you don't, maybe you have a relative or friend that will make it for you. If you decide to purchase a ready made flower, they can be expensive depending on the quality. Fabric flowers can be easily attached to a hair comb or alligator clip by sewing or gluing. A headband is another popular choice. It can be a thin width band that is the color of your hair or a wider satin covered headband. 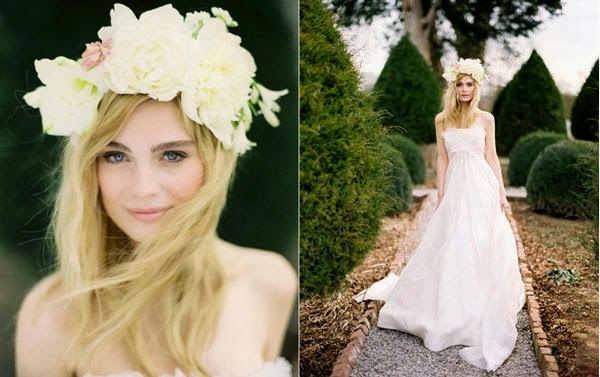 Headbands will hold any flower choice in place and is a comfortable accessory to wear. 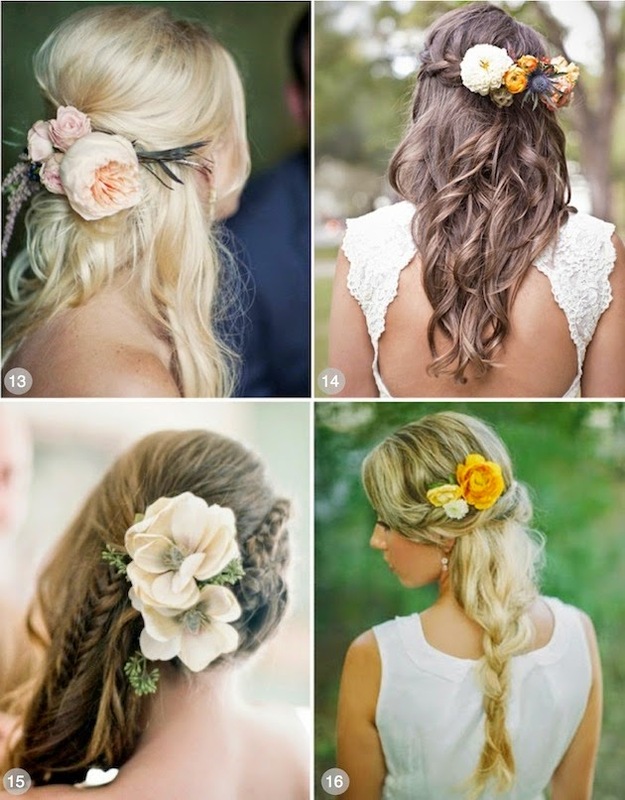 They can be worn by every female in the bridal party including the flower girls. Fresh flowers can be easily attached to a hair comb or alligator clip with florist wire. It is important to mist it and keep the flower in water and in a cool place for as long as possible. To make a fresh flower clip for your hair, cut the stem very short. Insert a piece of florist wire through the stem. Insert another wire across from the first one to form an X. Bend the wires down to form a "stem" and wrap the wire with floral tape. Attach to the clip or comb. 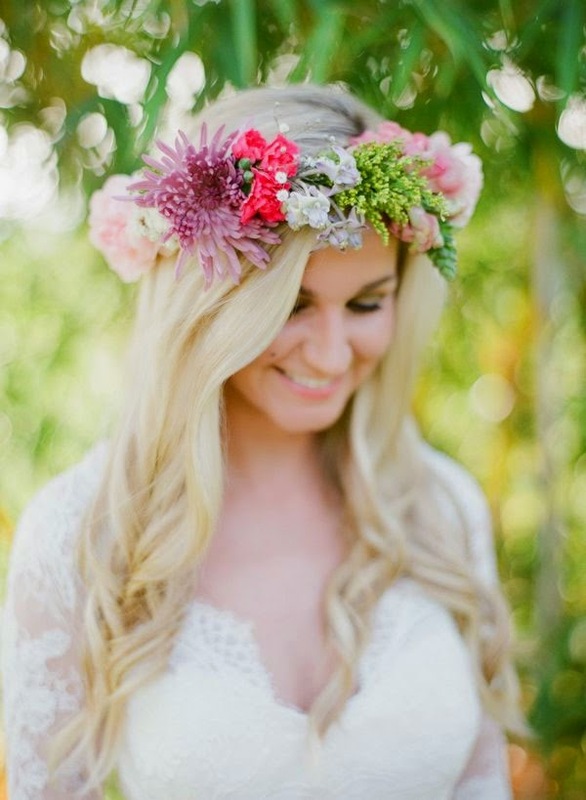 Headbands can also be decorated with pearls, crystals, feathers, and flowers. A pave setting of crystals or pearls can be glued onto a satin covered headband. This is a very luxurious looking headband especially if the dress has the same embellishments. Feathers or flowers can either be glued or sewn in place. 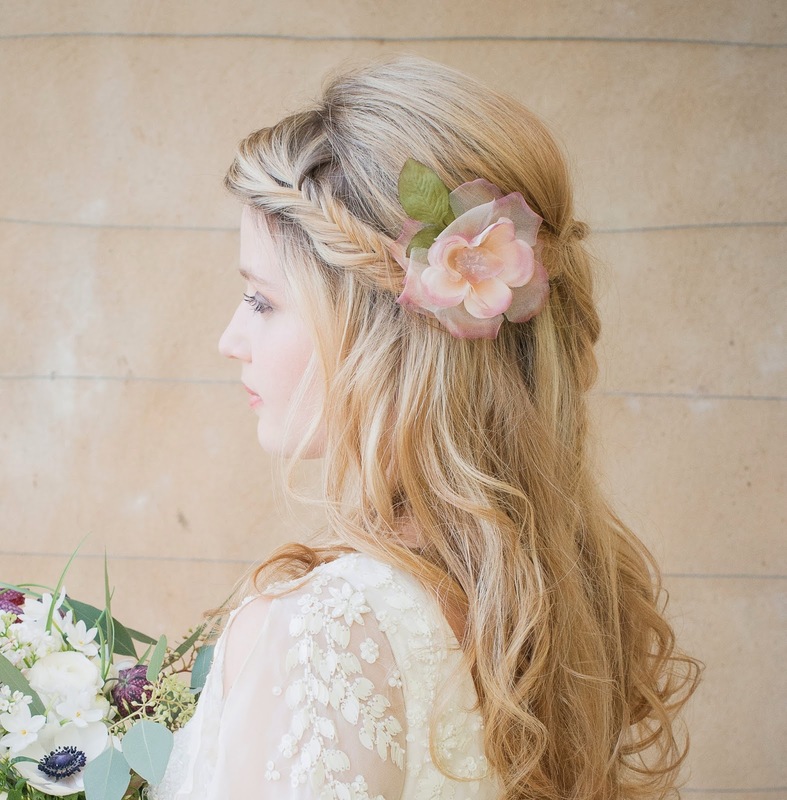 As you can see, with a few supplies you really can create lovely one of a kind wedding flowers for your hair!